After 5 years of silence the Norwegian band is back. Even though the band was created in 1998 it was 2003 when they released their “Hin Vordende Sod & Sø” debut, which made quite an impression to the folk metal scene. 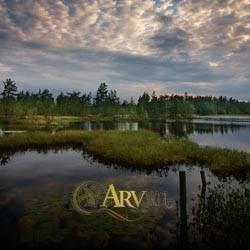 Their new album “Arv” will be available by the end of November again by Napalm Records and let’s see what they have to present this time. There is a very original and strange folk mood in this work that will enchant lovers of this genre. There are some typical folk metal parts, but there is also a will for experiment that makes Ásmegin differ… It may sounds strange, but I find there is a “jazz improvisation” approach in many parts (that I have to admit it doesn’t work all the time). Female vocals are also much improved and I believe that the band could easily make a trip-hop, alternative, folk album with great success. The best song for me is the opening track “Fandens Mælkebøtte” with amazing female vocals full of folklore nostalgia. I believe that 5 years was too long to wait, but Ásmegin got too many ideas in this period and tried to put them all together in this album. There are parts where it’s obvious that the band has too many things to offer, and I wish they would explore them in the near future, balancing a little better their influences and leaving behind their weaker parts. Let’s hope it won’t take them that much time to record something new.